Wondering how to get paid to travel the world? We have received a lot of emails from people asking how to make money from traveling. We spent so much time giving advice and offering ideas for jobs that pay you to travel, we thought it would be better for us to write a post about it. Many people have also asked us how to be a travel blogger. While we do write about it in this article, we suggest reading our post on how to be a professional travel blogger, It gives step by step advice and information. Work in places like this! 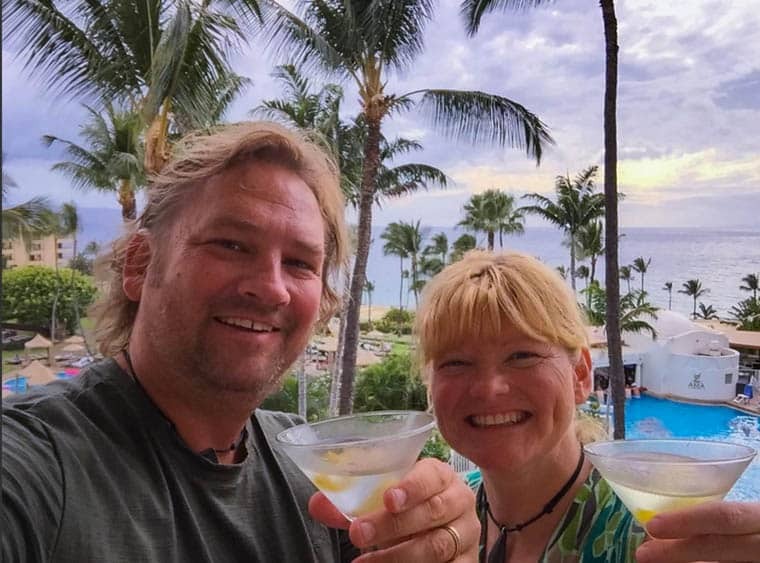 We earn a high six-figure income by running a travel blog, but we've also learned a lot from our friends and colleagues about other ways they make money. We've had people share their stories in the past, and they have gone over really well. But people had several questions about how to get a travel job, how to make money traveling, and how to save money to travel. That's a lot of factors. So, it's time to share our first-hand experiences from people we know or have met during our nine years of full-time travel. How to Get Paid to Travel was updated Jan 2019! If you want to skip directly to your section of interest, click on the links below. You can always come back up to the menu. If our inbox is any indication, many people are looking for ways to travel and make money, and we are here to show you how to make your dream a reality. First of all, let me warn you that the first couple of years of your travel career are going to be difficult. You won't magically make a ton of money. I've had people email me asking how we make money travel blogging when they haven't even started a blog yet. You need to have an established travel blog and some authority on the Internet before you can make money as a travel blogger. But that is an entirely different post and luckily we've written about it several times on ThePlanetD. But there are other ways to make money travelling. There are people out there who will pay you to travel and several different ways to travel the world and get paid. While you are building your brand and your blog or just looking into ways to start your travels, you may need to keep your current job for a while. We worked for a year on our blog before starting our travels. Once we did, we had about $20,000 in the bank. Before becoming full-time travelers, we had to save a lot of money in a short time. We had just returned from cycling Africa and we spent a lot of our savings on that trip, so we were starting from scratch. But, we had a plan and we made it work. Just 18 months after returning from Africa, we were back on the road traveling through India. We kept expenses to a minimum. 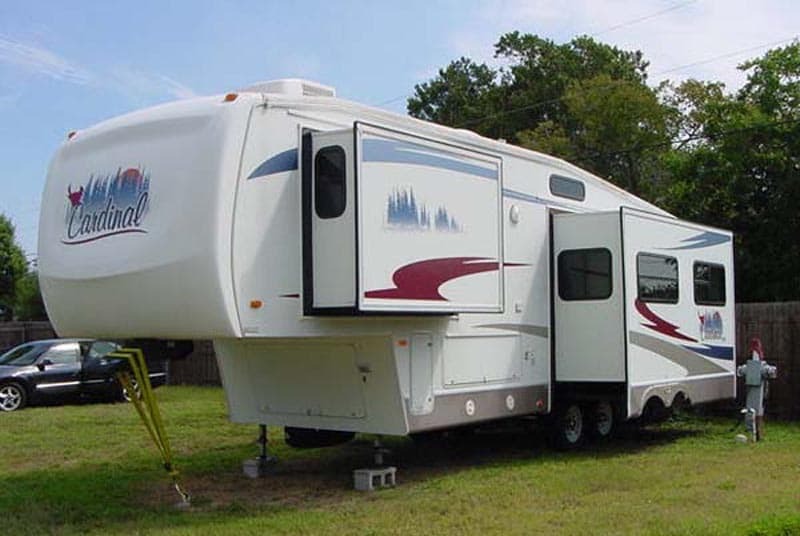 For six months we lived in a trailer park and that let us save money fast. My parents had an old trailer they never used, so they let us borrow it while we got back on our feet. We stayed 40 minutes outside Toronto and commuted to work in town. With very little money going towards rent, we could put nearly our entire paycheck in the bank. No Car Payment: We had one car between us that was paid off two years earlier, so we didn't have a car payment. Minimal Insurance Payment: Because our car was old, it wasn't worth much to replace, so we only put liability insurance on our policy to keep insurance low. We saved our money by cutting our expenses to almost nothing. We sold our house a few years earlier and had zero debt. When you don't have debt, it is easier to save money. So consider working really hard to pay off debt before you even think about traveling for a living. We worked full time for an entire year at our jobs in the film industry (while building our travel blog at night). We rarely slept and spent every free moment learning as much as we could about travel blogging. When we were ready to travel, we had $20k that we had to make last a long time. So staying at the Ritz was out of the question. We looked for a place where our dollar would last the longest. India was a great option and we had never been there, so we bought a discount ticket to India. Southeast Asia, Central, and South America are other great options for saving money while traveling. If you want to travel blog, you need to travel! We feel that it is important for a travel blogger to have experience traveling. 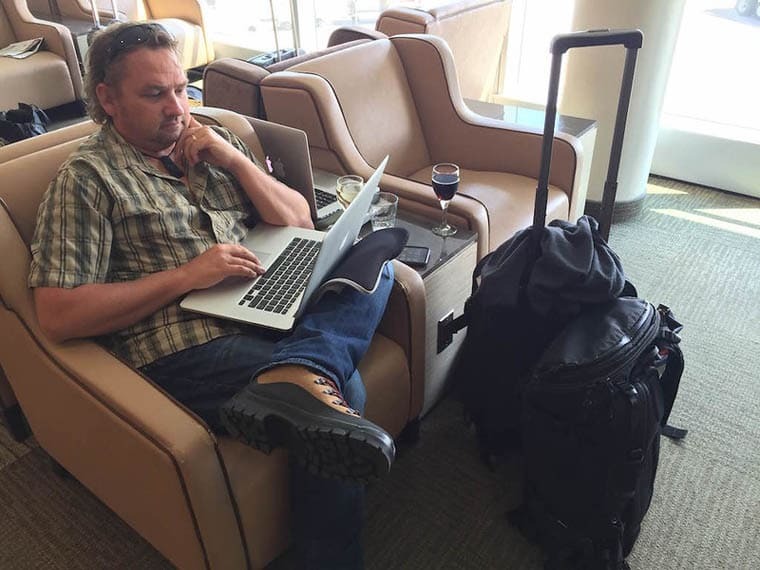 A lot of people are claiming to be travel bloggers when they've barely traveled anywhere. That may be fine for short term gain, but they won't last. To stand out and have a lasting impact on Google and on social media, you need expertise and authority. And the way to do that as a travel blogger is by traveling. So the sooner you can manage to get on the road and share your stories, photos, and videos, the better. 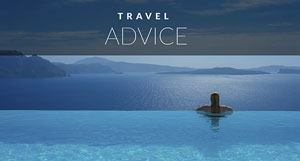 If you are feeling overwhelmed by money, read a few of our articles and guests post on budget travel below. How to travel World when you don't have the funds - Think you don't have the means to travel? Be inspired by Thailand blogger, Petz who shows that even with limited budget, you can travel the world. 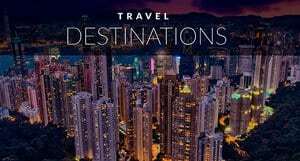 How to find Free Accommodation Around the World - There are ways to stay for free while you travel. If you are making very little money, this is a great option for saving. How to Become a House-Sitter and See the World. It gives all the secrets behind their house-sitting success. 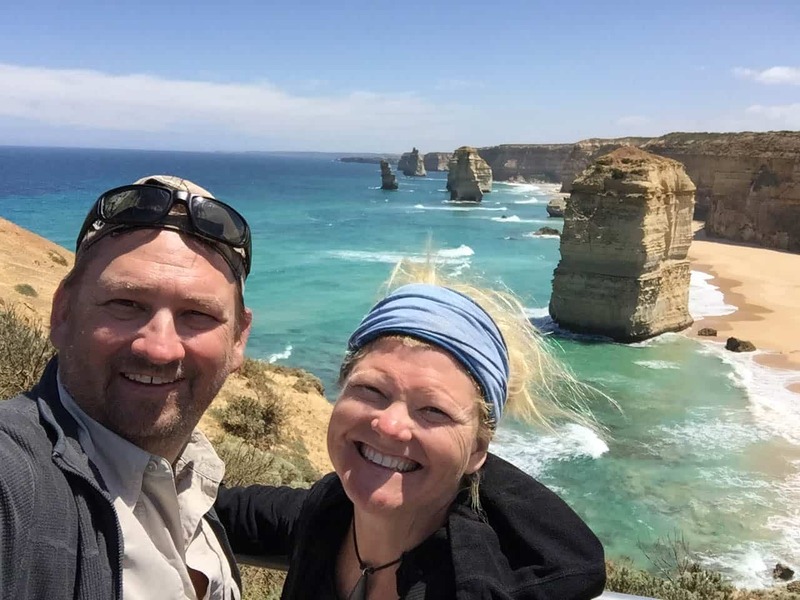 They've had 14 jobs in 9 countries, and saved over $50,000 in the cost of accommodations as a result. Over the years our income stream has evolved. Since we first started travel blogging there are more opportunities than ever. 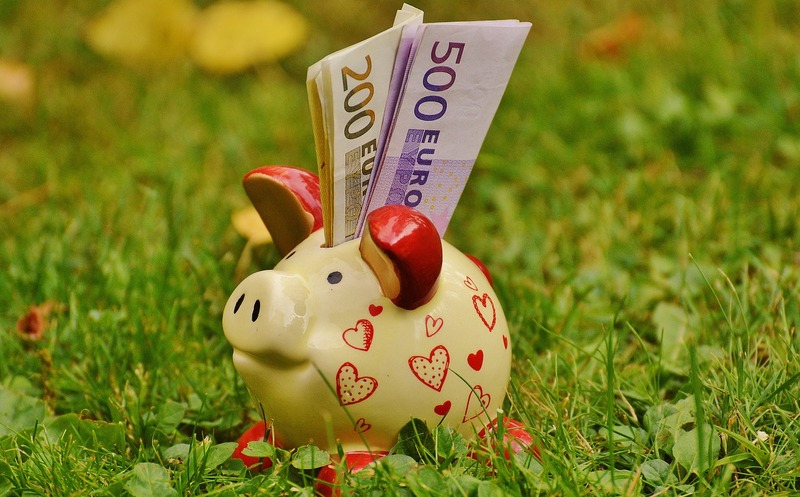 Even newer bloggers are starting to make money faster. These are the ways we make money from traveling. 1. Ad Network - Once you have built your readership you can apply to work with an ad network. Currently, we work with Mediavine who pays us out by the number of visitors that come to our website and see their banner ads. We make a fixed dollar amount per 1000 impressions. You can apply with as low as 25,000 views per month! 2. 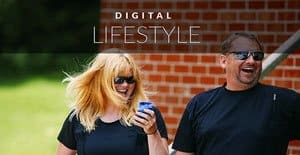 Affiliate Marketing - We traveled non-stop for eight years and we still travel at least 1-2 weeks per month. So we have a lot of products, brands, and hotels that we like to recommend. If you decide to click through to purchase one of our recommendations, be it a hotel we like in Paris, our favorite travel gear or the photography gear that Dave uses, we receive a commission at no extra cost to you. 3. Ambassadorships and Long Term Partnerships - We work with brands and tourism companies that we believe in and feel confident recommending on long term partnerships. These are usually year-long contracts where we discuss what the clients needs are and what type of coverage we will give them. 4. Tourism Campaigns - Throughout the year we work with different travel brands, tourism boards, and tour companies. We help them promote their product or service through social media, creating videos, writing blog posts or creating photography content. There are many different avenues we take and these contracts are usually anywhere from a one off social media share, to a one month long contract. Being a Travel Blogger is the most fulfilling career we've ever had. We know many people who are making lucrative careers travel blogging. But don't be fooled, blogging is hard work and it takes time. If you want to make money traveling, the first step is investing in yourself. Superstar Blogging is a good place to start. 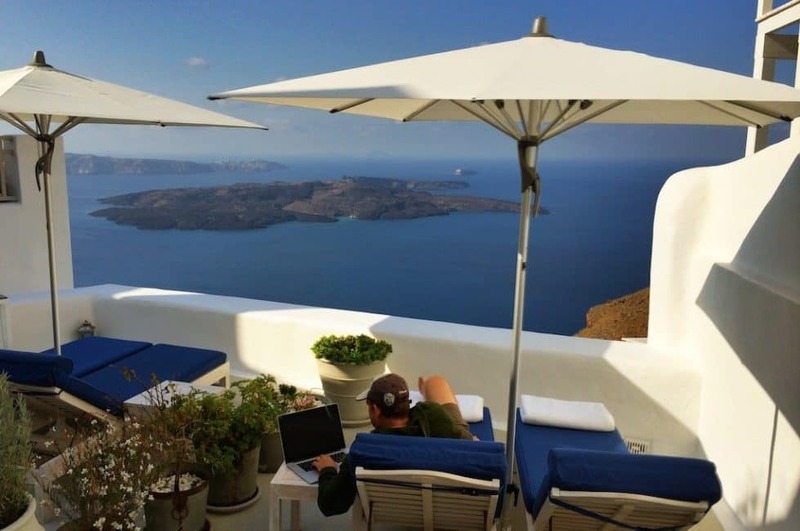 Nomadic Matt changed his make money travel blogging book into the Superstar Blogging Course. He has brought on different experts in their field to run and lead the courses. That's four different ways to get paid to travel! These are intense in-depth tracks that will help you succeed and he offers monthly mentoring and support through his teachers. The business of Travel Blogging: $300 (6 monthly payments of $50) and he also has a 30 Day money back guarantee. Check out our post on How to Start a Travel Blog. 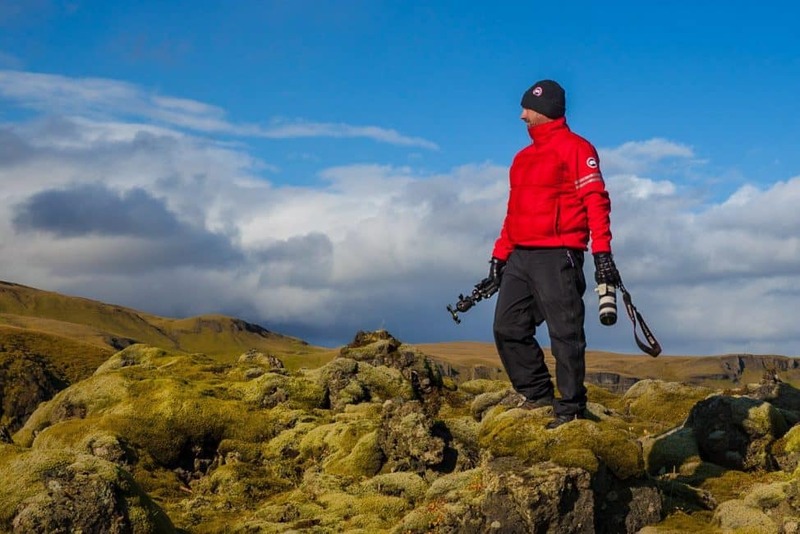 Contrary to popular belief, being a travel photographer is not an obsolete job. We have many friends leading photography tours, running photography workshops and selling their photos. You can sell photography to stock agencies, sell to publications and set up your own store on Smugmug or Photoshelter. We sell about one photograph a month on Smugmug and we often sell photos to publications and tourism boards. There are many ways to make photography work. I really do think that running courses and workshops are an excellent way for skilled photographers to earn a living traveling. For Travel Photography we recommend taking Photographing the World by Elia Locardi. We feel it is the best travel photography course out there. Read my review here. If you have skills in social media, you could work for a company from anywhere. We have many friends that run corporate social media accounts and get paid well to do so. The best part about social media is that you can live remotely. You don't have to be tied down to an office. We even pay people to help us out with social media. We are constantly on the road and our assistants are located anywhere from Prague to Paris. It's a job you can do from any continent at any time of day. Brush up on your social media skills and start networking now! The best way to plant the seed for your travel career is to meet other travelers. The more people you meet the more ideas you will get in your head to take that step to making money from traveling. If you go to travel meetups in your city, you will meet people in the travel industry. If you hit it off, you may find you can get a job with a tour company or someone may hire you to become an assistant or you may just get a. new idea. Places to meet fellow travelers: Travel Massive, Eventbrite, TBEX, New York Times Travel Show, Outdoor Adventure and Travel Show. You can Google Search travel events in your city and check out Facebook Groups. The biggest influencer of them all! There are Instagram and YouTube Stars and stars that make money traveling. 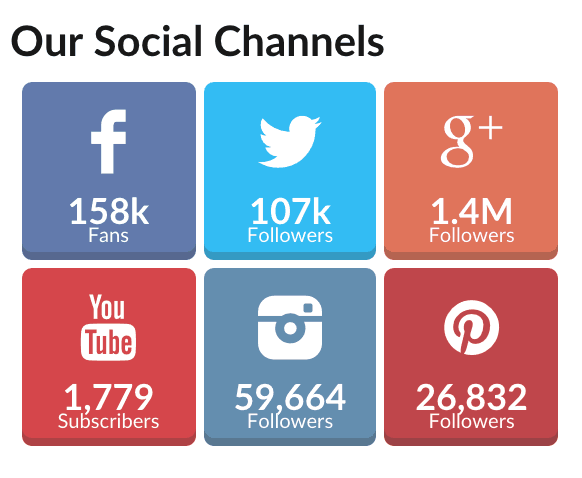 They have built their social media channels around their personalities and have a strong following and fan base. If you want to put work into either of these social media sites, you too can get paid to travel. But it's not as easy at it looks. You have to build an audience, post excellent photographs or show off your personality. You also need some sort of expertise in something. So start thinking about what will set you apart. When you are established, companies will pay you to travel and post photographs. Youtube is a medium that you can build and grow like a travel blog. If you post regular content and concentrate on SEO, you'll be surprised how quickly you can grow your following. With YouTube, you can start earning money through YouTube advertising. It's not much at first, but once you build regular subscribers and views, you can start making money. It's a tough gig these days as magazines and newspapers regularly fold, but freelance writing is still an option. I know many journalists that subsidize their travels by writing for magazines, newspapers and online resources. We even write for many places like BBC Travel and CAA. 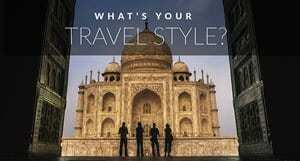 Start by writing guest posts for people like us - see our writing guidelines and other travel blogs. As you build your travel writing portfolio, you'll be able to approach the big guys with a story. Think unique and catchy and before you know it, you'll be a published writer. There are many places that pay a small amount per article, we started out doing that and it felt so good making my first $50 for an article. Publications that Pay you for Travel Articles - ideas to get you started are BootsnAll, World Nomads, Matador Network, Transitions Abroad, and GoAbroad. Once you have some smaller publications under your belt, you'll be able to eventually pitch to the bigger publications like Afar, National Geographic, BBC and Travel and Leisure. 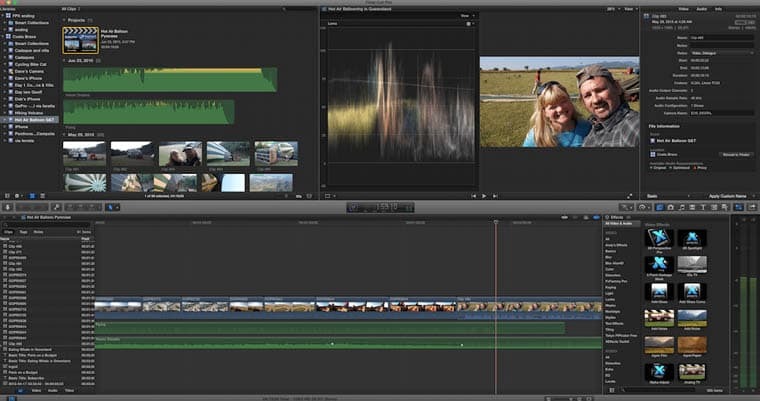 Video is taking over the Internet and if you have skills in video editing, you can offer your services to anyone. People are paying for video content regularly, so why not have them come to you! Geoff and Katy of Wandertooth are editing and optimizing YouTube Channels and spend their time living in Prague while traveling around Europe regularly. We spent a week with them in Spain while they captured our travels on video and edited a couple of beautiful stories. I didn't even know this was a thing until I met full-time travelers that were doing just that. They make an hourly wage from 15-20 per hour just by letting people practice their English over Skype. If you are living abroad in a country that is cheap to travel, this is an excellent way to supplement your travels and even live if you are staying in the right place where it is cheap to travel. Check out QKids and VIPKID to get started. I had no idea this was a thing, but when we were at TravelCon last year, I met a guy that makes money selling travel gear on Amazon. He doesn't blog, he's not a YouTuber, he just sells stuff online. I don't have the expertise to tell you how he does it, so you will have to do some digging on the Internet, but he said he makes a lucrative income through Amazon. We have an Amazon store and we do very well with affiliate marketing through Amazon, but he does something different, he sells products that people search for. It's definitely not my thing, but I do have several friends that do this and claim to do well. But there is one person I know that has the proof she makes money to pay for her travels this way. Keynote speaker Katja Presnal talked about how she made a lot of money selling things online at TBEX in Spain. She started an online store selling things. Katja was so successful, she was featured by Oprah! Now she is doing multilevel marketing selling essential oils and making a killing at it. If you have a knack for sales and marketing, this could be for you. Perhaps you could start your own online store today! There are many people making a killing doing affiliate sales in all fields and professions. You don't have to be in the travel space to make sales online. In today's world, it seems that you don't even have to have authority or traffic to be able to sell things to the public. If you write a really well-researched article on a topic and make sure you SEO (search engine optimization) it to rank high in Google, you can put affiliate links from Amazon, Commission Junction, Share a Sale, booking.com or anything that lets you share revenue with their sales. If people make a purchase you receive a commission. I've seen people sell courses on various topics online. If you are providing a service or have valuable information to share, you can make money by selling a course. 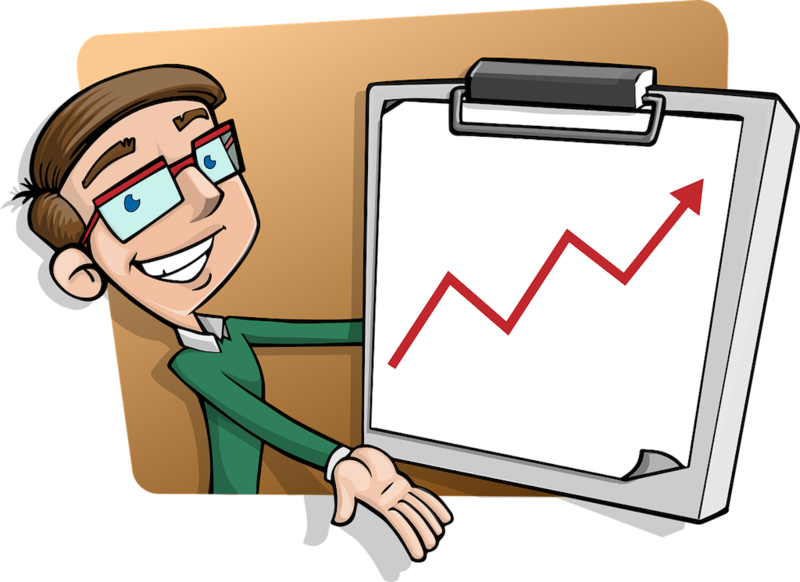 they can sell for as little as 1.99 at first and as you gain authority and skills you can turn your business into online sales. When I first caught the travel bug, I worked as a singer on a cruise ship in Guam. I then sang in other places like Japan and the US. Now not everyone can sing for a living, but you can work on a cruise line in many capacities. Cruise ships are always looking for people to hire, you just have to have a yearning for travel and a will to work hard. 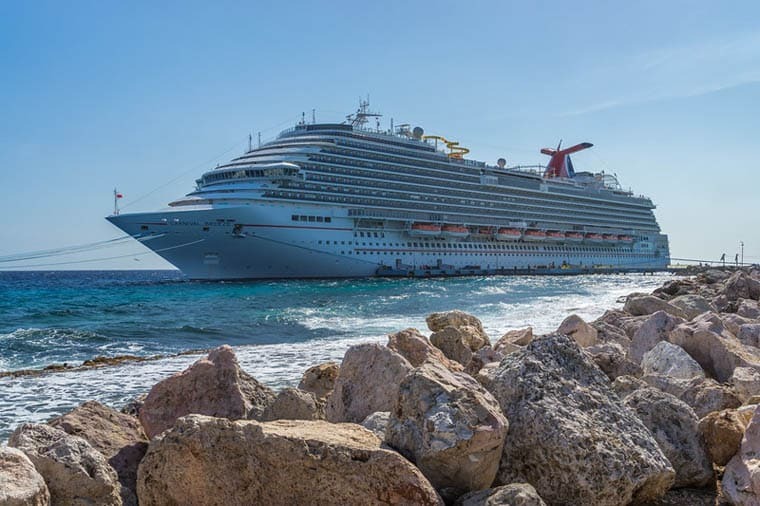 Believe me, you'll have to work long hard hours on a cruise but it is an excellent way to save money as you'll have little expenses and the perfect way to see the world while getting paid to travel. You can work as wait staff, blackjack dealers (I've done that job and it's fun! ), cleaning staff, cruise staff, entertainment, bartenders, activities managers...the possibilities are endless. Just ask Wandering Earl, he started out on Cruise Ships. We have many friends that we've met on our travels that are travel guides. They travel the world more than we do leading tours from Cuba to Myanmar. Good travel guides are in high demand and you can make a great living. If you are personable, patient and knowledgeable this is your way to get paid to travel. Places like Intrepid Travel, and GoAhead Tours are good places to start looking, but there are many companies out there that are seeking English speaking guides with a good knowledge of a destination. You don't have to be a guide either, we know people who work in the sales and marketing departments and they get a lot of travel perks. 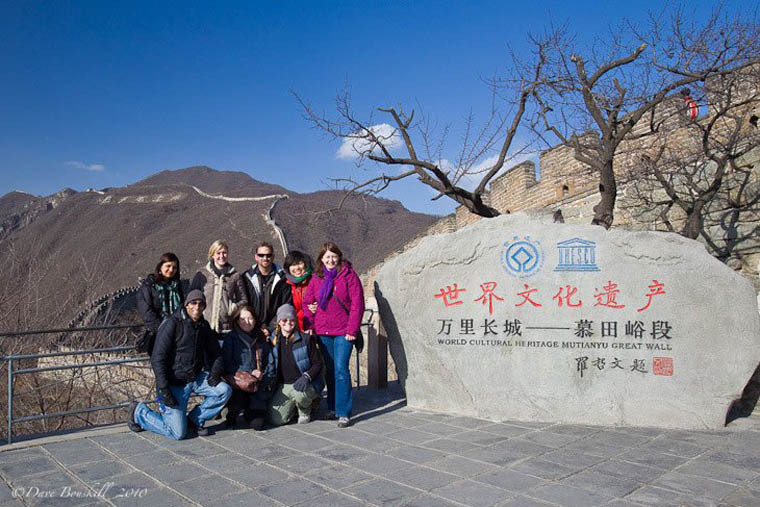 If you don't want to become a tour guide, you could always work in their offices and use your corporate skills. The benefits of working with a travel company is that you will have a lot of opportunities to travel while getting paid. Yoga Instructors are in high demand as people search for enlightenment and better health. 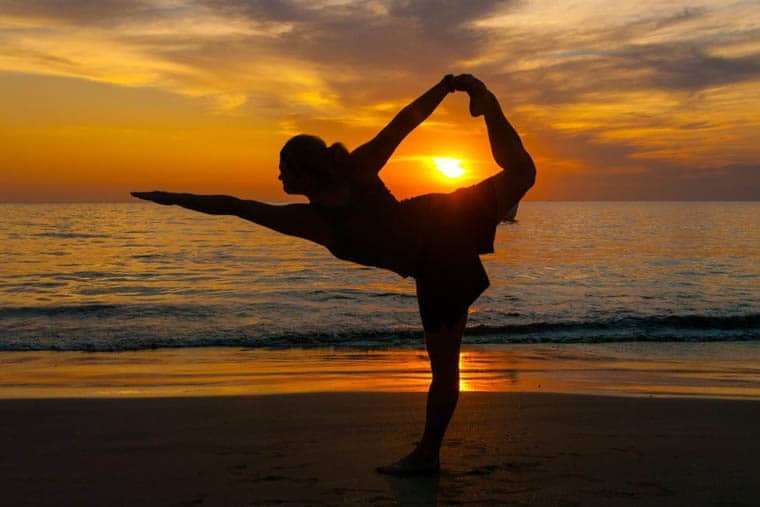 There are even yoga instructor retreats around the world where you can travel while investing in your future. I know of many people who have opened up their own yoga companies and then book tours where they take a minimum amount of people on a yoga retreat. All you have to do is find a location and a spot where you can lead your course and then you can work on the details of accommodation and meals in the destination. It can be done, you just have to think outside the box. Take a Yoga instructor's course, get some experience under your belt and then apply to retreats around the world. Looking for some Inspiration? Check these posts out! There are new routes and airlines opening up all the time, so there has to be jobs out there. These people work hard, but they get a lot of travel perks and layovers in exotic destinations. 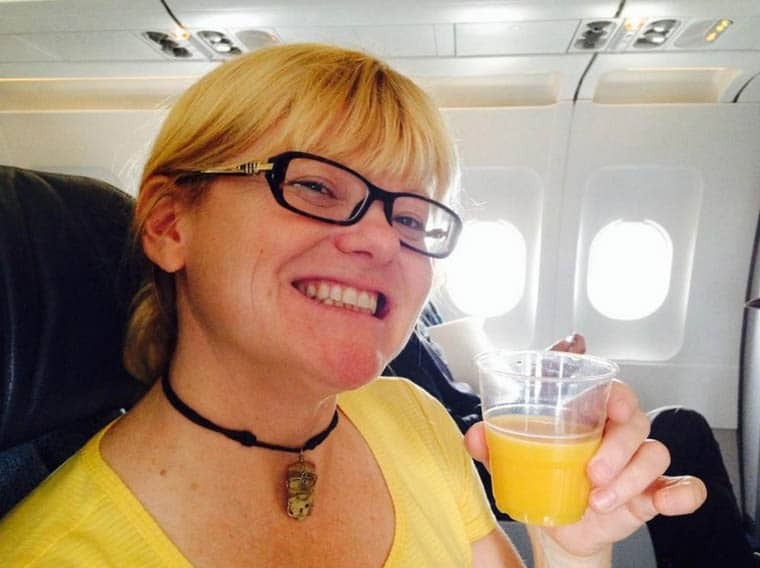 Someone like HeatherPoole has turned her flight attendant career into a celebrity status as she tweets about her travels and has even written a book about the life of a flight attendant. 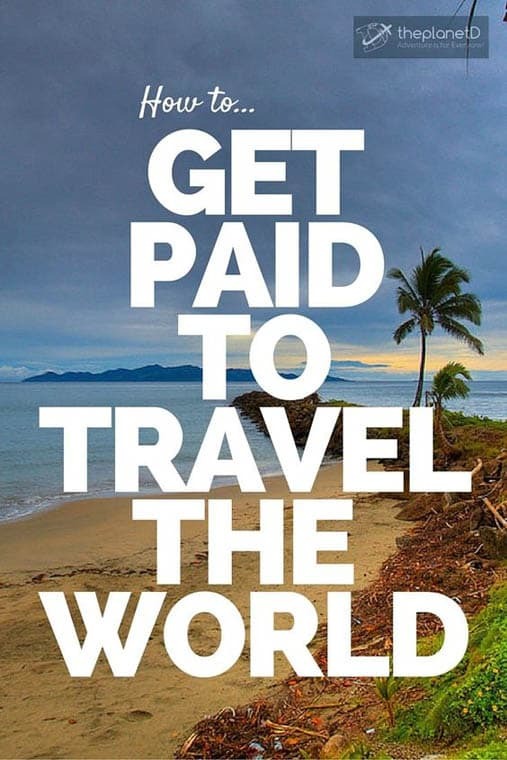 If you want to get paid to travel, this is a great place to start. Our kayaking Guide Fidel taught in Canada but is from Argentina. 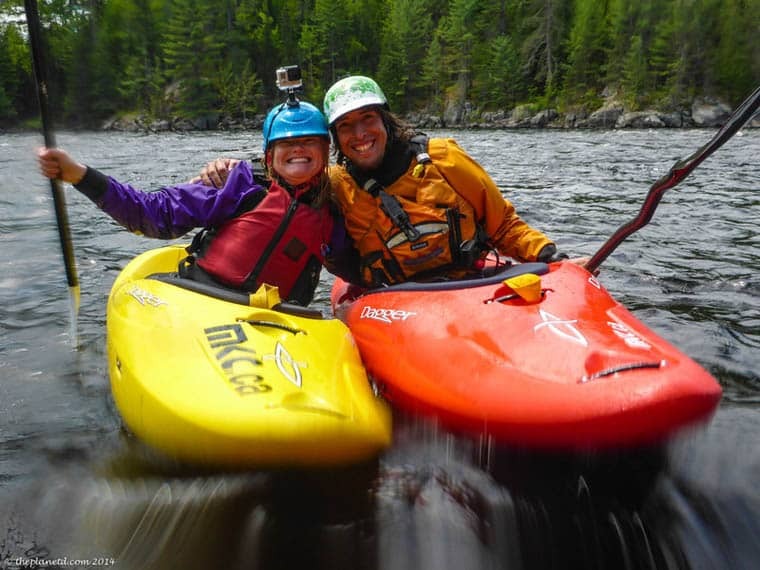 We've met whitewater kayaking, rafting and climbing guides around the world that travel from place to place teaching wannabe adventurers their skills. If you have a special skill like scuba diving, kayaking, or rock climbing, you can go anywhere on earth to instruct tourists and get paid to travel. From Australia, to China, Central America to Africa, we've instructional guides from foreign lands teaching in a different country. It was our first choice when we started traveling, our original plan was to become scuba instructors and teach around the world. If that didn't work out, we were going to lead our own bicycle tours. We get a massage everywhere we go. From cruise ships to resorts to everywhere in between. If you have skills to relieve aches and pains or to help people look and feel better, this is an amazing job for travel. And people tend to spend money on these types of services more when they are traveling than while at home. I know that we like to splurge on a good haircut, a facial or a pedicure when traveling. Think about getting into this business and you could find yourself working at Four Seasons around the world or on cruise liners. It was our original plan when we started thinking of ways to travel and get paid. We even went to Honduras for our dive masters. 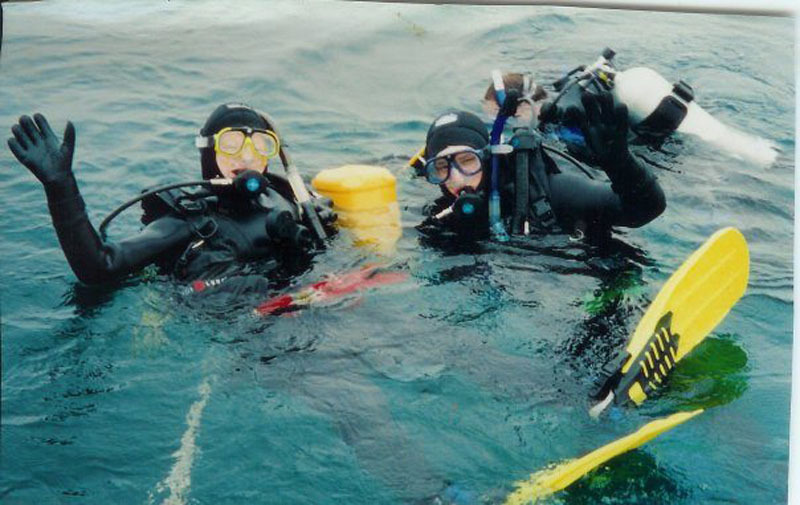 Being a dive master is a lot like being a skilled instructor but Dive Masters lead scuba excursions. They don't have to teach courses. Imagine diving around the world leading experienced divers in exotic locations. Many people travel the world and teach diving and you can get your feet wet by becomeing a dive master first. If you have that skill, it's a job that is in demand. We added this to our list of how travelers make money because someone emailed us quite upset that it wasn't included. Well, it is now and it is a good idea! You can apply for a working visa when you travel. It is especially easy if you are under the age of 30. If you have the proper paperwork for the country you are visiting, you can work anywhere you like. Dave and I are fans of serving tables because it's a quick way to earn cash and it's a job that is always in demand. But if you don't want to wait tables, you can work at anything you like. 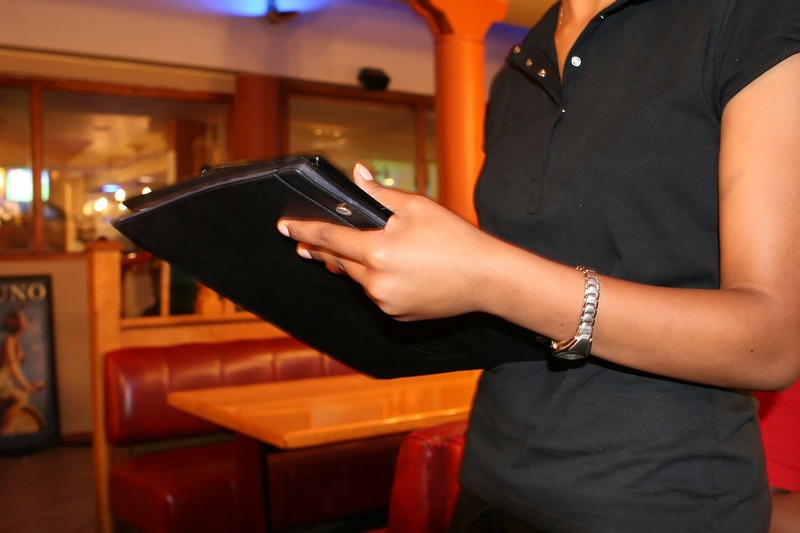 Take your waitressing skills further and get a degree in hospitality management. 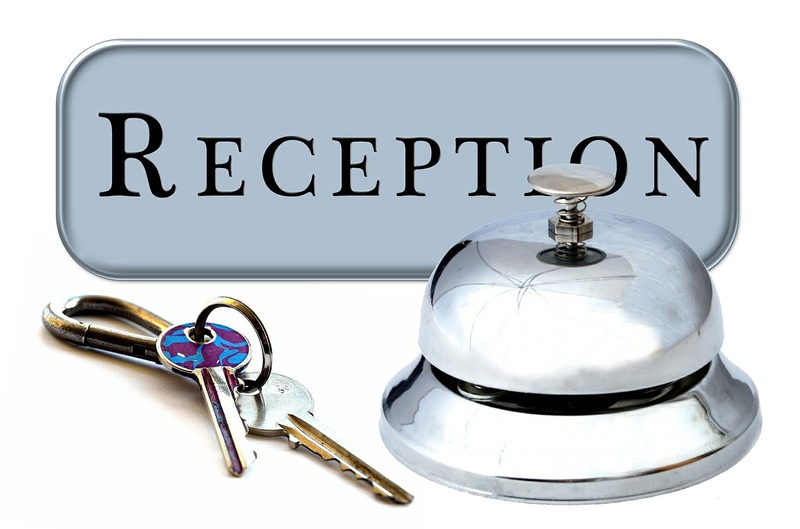 We meet a lot of PR representatives and managers of hotels and restaurants when we travel and they all seem to travel the world to attend tourism conferences, open new hotels or get transfered to an exotic location. We are amazed when we walk up to the front desk of a hotel in places like Tokyo and Beijing and are greeted by someone from America or Australia. Getting a degree in hotel and restaurant service management opens up a whole new way to travel the world and get paid. And you get to do it in style. Imagine managing a Four Seasons, Fairmont or Intercontinental Hotel. It's a dream job that lets you travel the world as you move from hotels in different countries. When we were climbing to Everest Base Camp, we met a guy named Bobby that was on hiatus from working on a yacht in the Mediterranean. He was in between contracts so he flew to Nepal to do the EBC Trek. He had many tales to tell from the high seas and he made a very good living working as the first mate on a yacht. You can work as a cook, cleaning staff, engineer, captain, first mate. There are many opportunities. All it takes is a Google search and a sense of adventure. In today's world, the possibilities of getting paid to travel are endless. If you are in the medical profession, you are in demand. I have a friend that takes blood for a living and she is qualified to work in many clinics overseas. I've seen backpackers working in guesthouses and hostels and travelers tending bar. If you want something bad enough, you can make it happen. Once upon a time only National Geographic Photographers and Travel and Leisure writers were the only people that could get paid to travel the world. Now you can take the business into your own hands and make money and travel in many ways. The question is, what's the right way for you? Do you know of another way to make money from traveling? We'd love you to share your ideas in the comments. Disclaimer: We do receive an affiliate commission from the books and courses mentioned. If you click through there is no extra cost to you. 103 Responses to "Get Paid to Travel the World – How Travellers Make Money"
Great post about how travel bloggers make money through blogging. 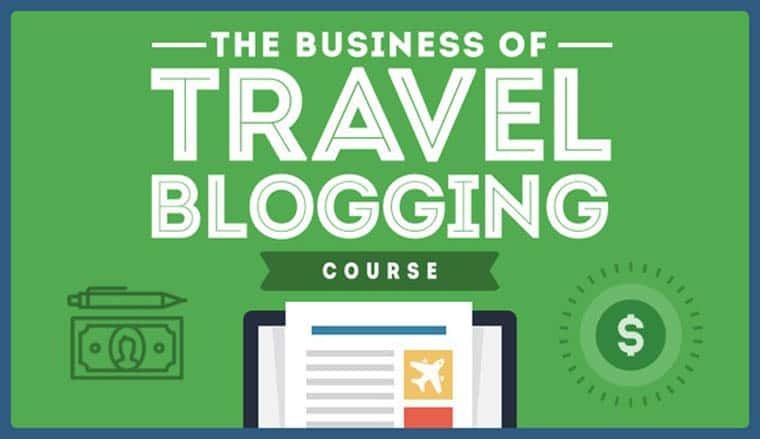 The point you make about earning huge amount of money through travel blogging resonates well, because it details that bloggers can earn profit in their travels through advertisement, photography, content writing, and even public speaking. Outstanding article…Hope to get paid to travel someday as well…. Thank for sharing this type of tips, really it was very helpfull to us . An amazing detailed article, you guys are amazing. Love from Dubai. Very helpful guide for people who want to become a real travel blogger!!! wow, you visited wonderful places all over the world, I really want to travel all around the world. Hi Dave & Deb, great tips! Thankfully more and more companies realize nowadays that remote working can be a huge advantage, and there are sites like Upwork or Fiverr where people can easily find any type of freelance work. Thanks a lot for sharing such valuable information! Blog is perfect! Very good pic. I also have an excellent blog about travels and mystery lovers. What an amazing compilation of tips! 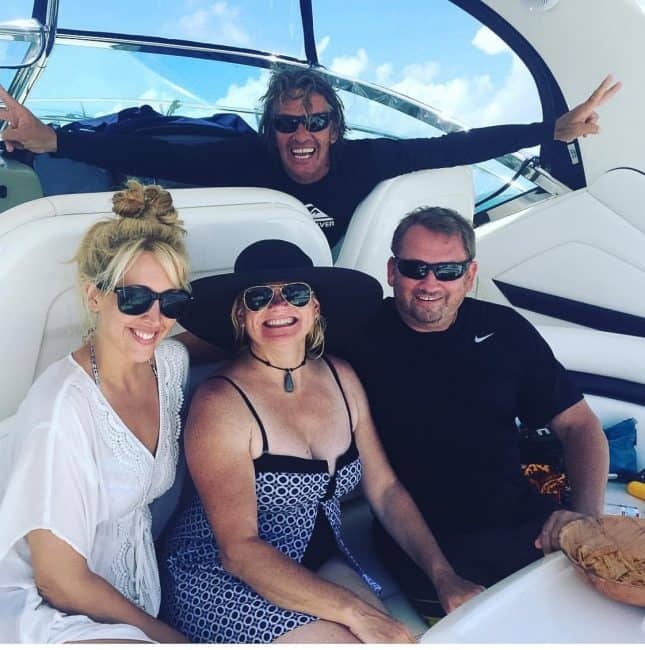 This is really good post for everybody starting an online business and a life of travel to realize it is possible to achieve dreams! Dream travels! Travel blogging has become a very hot profession these days. What could be better than making some good money while staying in 5-star hotels, enjoying food, having best local tours? Very nice insights. Hi Dave and deb, we will glag to offer yoy free desert safari trip whenever you visit to Dubai. So much information about traveling the world and getting paid for that on a single page. This is very comprehensive list having great ideas. Great article guys. It does take time and we are slowly getting there. It is great to know that we are on the right track. Look forward to seeing and listening to you at #TBEXEurop2017. You guys are such an inspiration. You guys clearly haven’t heard of the world’s coolest travel club. It also gives the opportunity to travel and get paid. After reading this, i’m more convinced that what i’m doing is the best way to get paid by traveling, ever. Very good way to deliver the ideas. Thank you. It was awesome, I get to know lot of new things through this article. You guys are really doing a great job by sharing your personal experiences. Thanks Tamal! All the best to you. Great Post! It was very knowledgeable for me. Very useful tips. Excellent for the beginners. That’s a full-blown list of possibilities to earn money whilst traveling. And they do work, I can imagine. I was wondering if the travel on itself is considered as a holiday, working whilst on holiday is gonna be hard. It mainly depends on the mindset of course. It would get boring if every day was spent traveling only. And it would be tricky to travel without money later on, so eventually, the mind-shift should happen. Thanks for sharing the great ways to earn money whilst traveling. Have a wonderful time. Hopefully, it’s not raining where you are right now. Very good advice, I have been dreaming of being a full-time blogger since long, just did not get anough coarage to start it. The main reason is my day job is very strict in timing and I became exhausted by the tie I finish it and do not have much energy to work at home. But in the other hand I am not sure will it ok to quit my day job first as I have Kid and wife that depending on me. Overall its good advice, I have a blog also and i am getting good value through. Very interesting read.. .thanks for sharing.. I was lucky enough to work in the travel industry for various airlines, for 25 years +, which was a great way to see the world for free or low cost. There are still good travel concessions to be had if you work in the airline/travel industry, and there are lots of opportunities apart from being a flight attendant. I am still learning my trade as a travel blogger though, as no internet media existed when I first started travelling. I guess that means I have to re-visit lots of countries, which is great, and I am beginning to do that. Thanks Dave and Deb. All my questions got answered. Wonderful and informative article. My God!!! This blog is perfect! All happiness in the world! Ohhhh this blog is perfect for the trip lovers, yours trips it´s very very crazy….I´m love trip. Great list of info a resources! I think what is lost on most people searching this topic is, no matter what route you go, it boils down to putting in the work. Glad we could help! Cheers. As a travel lover person I always used to think about I can get such money. truely, I was also very depressed at the present time. But this tips are really great for me and for the persons like me. Thanks for the great help. thanks for all the tips! very helpful, detailed & informative. happy travels! Love it! You two are good!! I’ve been going through your blog, FANTASTIC! What you two are doing is exsctly what my husband and I are working towards. I just started our blog and am SO inspired by you. Thank you! I traveled overseas as a child and have been missing it terribly, is been a growing hunger in my heart and soul. My best friend is my better half, we work together (he owns his own sign company), lately we’ve been in that rut and getting out and leaving is becoming more of a necessity for our sanity. I so glad to have found your blog and all your inspiration to push us along in our goals. We’ve been using kids and material things as excuses to hold us back from doing what we REALLY want to do with our lives. I will be signing up for the travel blog success courses and following you more closely (now that I’ve found my inspiration). Once again thank you, I hope to meet you both some day and exchange stories and laughter. Thanks Tammy, so glad we could inspire you. Before we started ThePlanetD we were constantly scouring the Internet and magazines for inspiration, so I’m glad to see that we are doing our job of keeping the inspiration going. It’s great to see another couple that works together. If you already do that at home, you will settle nicely into blogging together. Plus it sounds like you are already quite artistic with running a sign company. I’m sure we will meet one day, you’d be surprised at how many people we’ve talked to online and then met somewhere out there in the world. In the 21st century, the earth is very small. Thanks for the comment and all the best to you! Just wanting to let your readers know that they can find out what their rate of pay would be in Australia, if they are considering working while travelling to this part of the world. Thank you. We saved $40,000 last year – just by 1) renting our Montreal condo, 2) Spanky continuing her job from a distance, 3) living overseas. And we got to ‘live’ in the Czech Republic, Thailand, and Croatia with lots of little side trips. And it wasn’t just about saving the money. It was about breaking that 9-5 home-work routine that drains the life out of everyone. It also made us realize just how darn expensive Canada is. We’ve spent the last month in Montreal catching up on admin stuff and will be leaving in a couple of weeks for Year 2 of our travels. Very good job you always write very interesting articles and we can admiral amazing photos and video. I really admire you for quiting your job, traveling and making money. I believe that this is what we all want to do, but very few of us have your courage to do it. Great post! Thanks for sharing. Thank you for your tips. I have a question… I have a 7 year old son but I would still like to have a job traveling. How often do you come across someone with a small child with them in their adventures? Have you encountered any stories/problems with your carry-on luggage during all your travels? Thank you for the kind words. Thanks for mentioning Candace! We know her and I can’t believe I didn’t think of that. I appreciate you sharing. And you are so right, the possibilities are endless! I love reading such posts where we talk about money-making to be able to travel. It’s always encouraging and helps us to think as to how we can spread our wings and look for newer ways to make money. Thanks so much for this post! Thanks Renuka. It’s great to share stuff like this to help get the creative juices flowing. We always need a little motivation ourselves. Even we are always searching for something new to try. Thanks for the comment! Best of luck to you Nicola. You are going to love South East Asia, it is a photographer’s paradise. Keep us posted on how things go! @Shane, yes! Thank you, will look at this with my gf when she gets back to the room! Excited just to read about it! I’ve just started blogging and working out my ways to facilitate both traveling and making money.Posts like these throw the light and show the ways to newbie’s like me! Thank you Reshma, and glad we could give you some resources. Sometimes all we need are a few suggestions to get the creative juices flowing. @Scott This isn’t a mega yacht but this yacht captain sent us this ad last week: http://www.jobsabroadbulletin.co.uk/cookhousekeeper-deckhand-for-luxury-private-motor-yacht/. The position is a volunteer one but it might be a way to get some experience along with a free cruise around the Greek islands. One another of our sites we interviewed a superyacht stewardess: http://www.the-working-traveller.com/worldwideworker-katie-wilter-superyacht-stewardess/, while these agencies might also help with your research: Dovaston Crew, Silver Swan Recruitment, Super Yacht Crew, YPI Crew, Camper & Nicholsons International, Luxury Yacht Group, Bluewater, WilsonHalligan, Northrop and Johnson. Thanks for sharing Shane, that’s really valuable information. I appreciate it! Sorry to be a bit negative, but why is erverybody always sharing those absurdly coloured, filtered pictures on Instagram? I find them horrible. Am I the only one? Maybe I should register for a therapy until I like such pictures? No worries Charles, it’s definitely not for everyone. Our Instagram photos are quite different from what we post on our website. I look at Instagram as a form of artistic impression. I love looking at saturated colours and seeing what creative ideas and concepts people come up with. That’s the great thing about art and photography, it’s subjective. But you are right, we don’t put our Instagram shots on our website. Our photos on ThePlanetD are more true to life, crisp and real to the eye. But we like playing with both. And no, you haven’t lost touch with the world. I think it’s the people that bury their noses in their cell phones 24/7 liking and commenting on Instagram are the ones that have lost touch with the world…literally. They need to look up and explore the beauty around them, not only the things happening on the screens of their iPads and phones. Being an au pair is a great way to not only travel the world but to completely immerse into other cultures. I spent 2 years in the US and 1 year in Germany. Thanks to that I could slowly discover the countries and cultures and not worry about paying bills or renting a house. I could definitely recommend it to anyone! My brother actually became an au pair too, because he got jealous of all the travelling I’ve done wiith my host families and friends. Thanks for sharing Marta. Yet another way to get paid to travel. I love it! I had heard about that, what an amazing way to travel. And I am assuming that the people who can afford an Au Pair are quite wealthy, so you most likely get to travel and live in style! @Noel – It’s definitely a win if you can make money in your home currency. @judykarwacki – Whaaaaat? I wanna work on a MegaYacht! I think the crazy thing is like @shane said, there are so many opportunities and the more you travel the more you discover them. It’s a bit liberating to realize travel isn’t super expensive, and there are becoming more and more abundant opportunities. Again MegaYacht – will research this! You are so right, this is just the tip of the iceberg. There are so many ways to make money while traveling now. It’s an exciting time to explore the world. Good luck with the MegaYacht research. Great ideas, I think if you can take a profession that can travel abroad in the currency you make, then that really works well to your favor, along with scaling back or downsizing to afford this type of lifestyle. That’s a great point too. Living remotely does offer that opportunity. A lot of people can be paid in their own currency while working abroad. Put that money into a lower cost of living and it’s win win! Thanks for sharing Noel. Thank you for the wonderful ideas. I will follow some of the tips but others may not be applicable to mine. I have travelled 13 countries already but still I am using my own money for the travel expenses. I wish I can do what you have done. More travel to you soon. Best of luck to you! It sounds like you are well on your way to a great travel career. Dave and I didn’t start really getting into travel until our 30’s, you’re probably well ahead of us already! Thank you for the shout-out! Essential oils really changed my life, although I had been traveling 17 years before that. I think if there is a will to travel, there is always a way to make the money to do it. Thanks for the inspiration at TBEX Katja, You looked so happy and content. Wow! 17 years of traveling amazing! I guess what I meant was that you weren’t focusing on a travel blog like us, you had an entirely different business model and made it work. It’s impressive! And I forgot to mention that Tom Cruise featured your product on Oprah. I must go and add that in! Definitely send us an email. We’d love to share your story of how it goes! these are all great tips! thanks for sharing! im thinking of freelance writing just dont know when to take the leap! Good luck to you. Take it from me the sooner the better. As someone who didn’t know what I wanted to do for a very long time, I wish I figured it out earlier. But at the same time, you have to take the leap when you are ready, too soon can be overwhelming. Just follow your instincts. This is good. 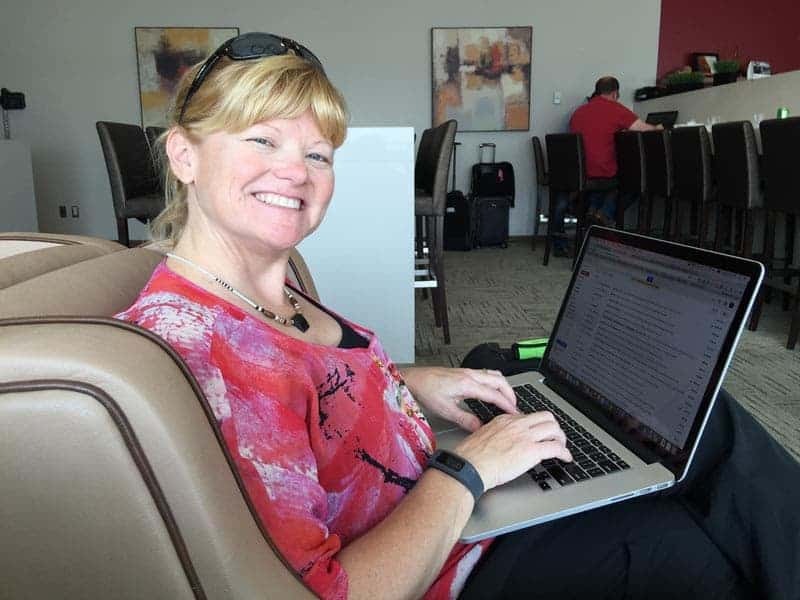 Really good…..
I’ve been doing research on travel blogging and I love the suggestions you’ve provided on generating revenue. I clicked the link for the inspiration series but the content of the page doesn’t load. https://theplanetd.com/inspiration-series/ Maybe it’s just an issue with the browser I’m using. Thanks for the heads up, I’ll see what’s happening. I noticed it’s not loading either. We’ll get that fixed lickety split! Thanks Dave, best of luck with your freelancing! There is still lots of work out there. I actually think there is more work than ever with the Internet opening up. It’s not a closed door mentality anymore. It used to be overwhelming trying to figure out how to get published, now there are many opportunities! Cheers! What an amazing compilation of tips! This is really good post for everybody starting an online bussiness and a life of travel to realize it is possible to achieve dreams! Happy travels! Thanks again for another instructive post Dave and Deb! Travel bloggers who make a name for themselves can also become brand ambassadors, do consulting work for destinations and brands, attract sponsors, etc. There’s a variety of other ways to make money, especially if you become known for your niche. I always recommend that newbie bloggers develop a niche. Otherwise, it’s much harder to rise above the noise. Cheers, see you tonight! 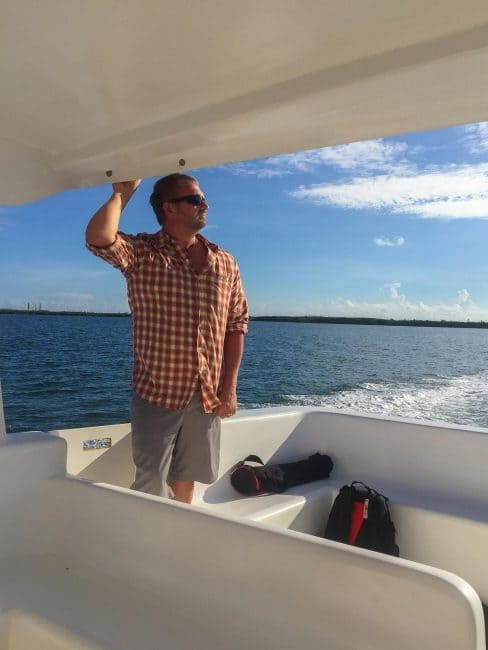 I worked on a yachting tourism study in Antigua a couple of years ago and learned about a dream travel job that I wish existed when I was in my teens/20s. It is working on megayachts. It’s better than cruise ships because they are small so you work with a family and small group. A lot of the work is around supporting the guests in recreation such as snorkeling, SUP, fishing, picnicing, etc. Long hours but very good pay, especially tips, and lots of time off. The people I met were having a ball doing it. Caribbean during the North American winters and Mediterrean postings during the summers. Hiring generally occurs in Florida. I can’t believe I didn’t include that! We have a friend of ours that is working on a Mega Yacht right now! We met Bobby in Nepal in 2010 and he is still travelling the world and working on yachts. Excellent advice, thanks Judy! Thanks for helping to spread the world about working abroad. I highly recommend a book called Work Your Way Around the World (written by a Canadian). I never did any of the things listed above, instead finding my own way to afford to travel, but this book helped me to realise it was possible to travel even when you have little money. Thanks for sharing Shane. You are right, the possibilities are endless. People just need a little nudge to start thinking outside the box. So many people think that they can’t get paid to travel and yet, you can do anything. Thanks Prasad. We thought it was a good idea to give people a one stop shop to build their travel careers.